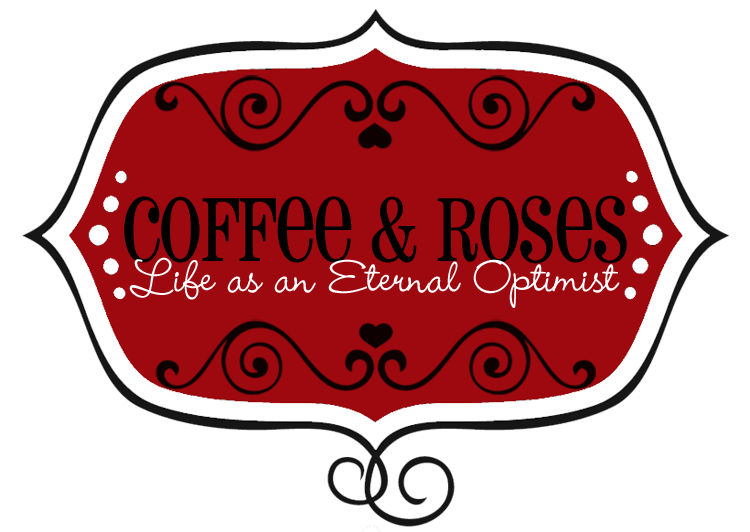 This week, I'm thrilled to shine the Coffee and Roses Writer Spotlight on the very wonderful ALI HARRIS! It was completely a Damascus-style epiphany! That isn’t to say I didn’t dream of writing books as a child, but I didn’t believe I could actually do it for a living until my early 20s. As well as being a bookworm as a teenager, I was also obsessed with (double geek alert!) musicals and after my A levels, I was torn between doing an English degree and Performing Arts but in the end, the high kicks beat the classics but it soon became clear I wasn’t a natural born actress. I’d only do improvisation on pain of death and I always chose to write 5,000 word essays over doing performances! Despite these (pretty major) clues that I might have chosen the wrong career path, I was still convinced it was an actor’s life for me. So when I graduated, I took a job as a waitress at a theme restaurant, and then a steakhouse in London to try and earn enough money for drama school. I basically lived Emma Morley’s restaurant experience from One Day for four whole years! Anyway, starved of any creative outlet, I started writing during the day whilst serving tables at night. Bridget Jones had just been published and when I read it – and the wave of books that quickly followed it – it was literally like hearing a West End chorus singing! I remember feeling overwhelmed by how much I related to this exciting new genre, how much it spoke to me. And it was saying, ‘maybe you could do this too’. From that moment on I was determined to be a published author one day. And it only took me… 13 years!!! (via a career as a women’s magazine journalist – it was SO worth the wait – and I adored the diversion, too). Primarily, it’s people over plot, every time. Perhaps it’s due to my ‘acting’ (ahem) and my journalism background, but my characters always come first and I definitely find that my books are driven by the need to tell a character – or a collective of characters’ stories. But I am also someone who believes 100% in escapism and I’m unashamedly romantic. I love books that make me feel that life can be richer, better, more magical and more romantic than it feels on a day-to-day basis. They’re the books I choose to read, and that’s the kind of books I aim to write, too. I’ve got two children under 3 so nothing can ever be typical! As soon as I think I’ve got a routine cracked my baby girl will refuse to nap or my three year-old son will be sick! On Mondays and Tuesdays my writing completely revolves around them – I squeeze it in by occasionally getting up before them (which as any parent knows is as close to madness as you can get when you spend so long trying to get them to sleep through the night!) but can I emphasise this is only occasionally! I then do another couple of hours at lunchtime when my baby sleeps. Wednesdays are 100% ‘mum days’ but on Thursdays and Fridays my son is at nursery and I have a nanny for my baby girl so for two days I can devote my attention solely to my other baby….my book! On those days I aim to be at my desk, or even better, cosily ensconced in a coffee shop with no internet and no distractions by 9.30am and I write until after lunch – or until I’ve hit 4,000 words. That way I don’t feel guilty for the days when I don’t write at all. Obviously as I get closer to my deadline, all of this will go out the window and I’ll be writing through the night and handing over the kids to their grandparents to get it done on time! Tell me about Miracle On Regent Street. With pleasure! It’s a classic Cinderella story, a real cuddle-up-with-a-cashmere-blanket-and-a-hot chocolate kind of a read. I like to think it’s the kind of book that will remind you of classic old movies and those bygone days when Christmas was about magic, not money. It’s a story about a sweet, unassuming stockroom girl called Evie Taylor who works in the basement of Hardy's; a faded, forgotten old department store that has seen better days. For the past two years she's lived an invisible life in London, sorting endless boxes of old-fashioned stock by day and looking after her sister’s two young children at night. Her neighbours think she's the hired help, her self-obsessed shop floor colleagues mistake her for her stockroom predecessor and even her manager doesn't know her actual name. But despite all this she loves working at the store. So when she overhears that Hardy's is at risk of being sold unless it seriously increases its profits by December 26th – just three weeks time - she hatches a secret plan to save it. Evie and Hardy's are both looking for a Christmas miracle to turn their fortunes around, but will it take the form of the handsome American who has swept in to town and shaken things up like a snow globe? 2. Being able to justifiably live in what my husband calls ‘Ali’s world’. 3. Getting PAID for it! 4. Knowing that people are READING what I write. 5. Hearing from people who have liked what I’ve written. 9. Reading my favourite books and rom-coms and calling it ‘research’. 10. Being able to write from anywhere in the world… but mostly choosing to do it in my house. Honestly? There are no downsides. I’m so lucky to so this for a living I can’t complain about anything… oh hang on, yes I can! Writer’s bottom - Doing this job is proving disastrous for my backside! My second book!! Gosh it feels amazing to say that! It’s called The First Last Kiss and it’s an all-encompassing love story that focuses on Molly and Ryan, a young couple in their 20s who have always seemed destined to be together until something unexpected tears them apart. The story follows the ups and downs of their relationship and each chapter of the novel is a memory triggered by a kiss. The book examines if you can ever hold on to a love that you know is slipping away from you. 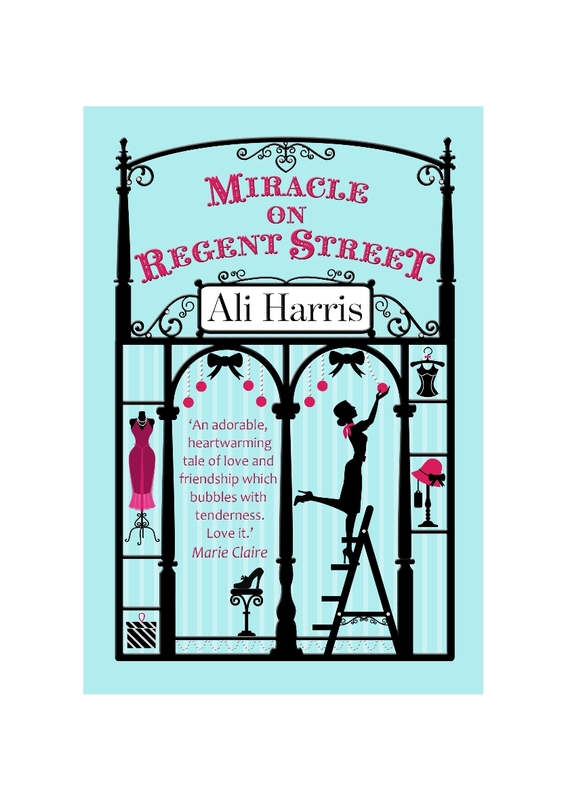 It is a departure from Miracle on Regent Street in the sense that isn’t necessarily the classic happy-ever-after novel that people may expect, but I hope they will love it all the same! Do you have a dream project you would love to write? Well, mostly books 3, 4, 5, 6, 7… ad infinitum! It’s not so much about having a specific dream project, more a dream to keep writing novels as long as I possibly can. Although having said all that, if Andrew Lloyd Webber would let me write a novel that is set backstage on one of his musicals (and give me a starring role, obvs) then that would be AMAZING! I’d need singing lessons first. And some dancing ones. And my acting is a bit shaky, but seriously, Lord Webber, you know where I am if you want me! 1. Stop treating it as an indulgence. To finish your book you have to write every day. Even when you don’t feel like it or when The X Factor is on. At the very least, set yourself a word count each day. And that includes if you already have a full time job. Even you can only manage 500 words per day by the end of one month you’ll have written 10,000 words! 2. Write from your heart. Don’t try to second-guess ‘what’s selling’ or ‘what the publishing industry wants’. If you tell the story that has spoken to you, that stops you from sleeping, wakes you up in the morning, fires your creativity and that most importantly, that YOU want to read, then and only then will you have written something to be proud of and that other people will want to read too. 3. For my last tip I’m dusting off my jazz shoes and jazz hands to join the cast of Glee in singing…. ‘Don’t Stop Belieeeevin’! Because if you believe it can happen, everyone else will eventually follow! Even if, like me, it takes 13 years! 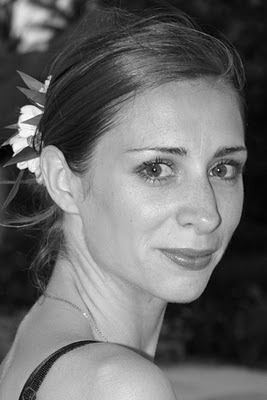 Ooh and if you want any more tips (on writing, not singing obviously) – go to my facebook.com/aliharriswriter! Just a massive thank you to everyone who’s bought Miracle on Regent Street, is thinking about buying it, has picked up a copy of it, has bought a copy for someone else, might buy my book after reading this interview… And to you Miranda, for thinking of asking me to take part in your Writer’s Spotlight, then asking me, then having me…. Miranda?! Miranda’s blog readers? Are you still there….? *beeeep*. Thanks so much to Ali for such a fantastic interview! 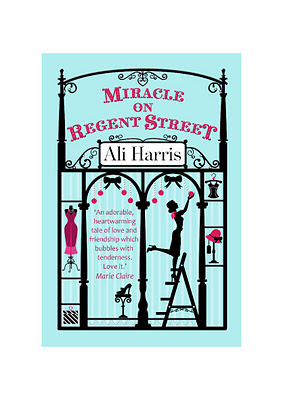 Miracle on Regent Street is a fabulous read - really warm-hearted and old-fashioned in the best sense of the word. I adored it and would highly recommend it - you should definitely check it out! You can visit Ali's website here, catch her on Facebook and follow her on twitter. Fab interview. I read Miracle on Regent Street before Christmas and loved it. And the cover is gorgeous (I do like a nice cover).